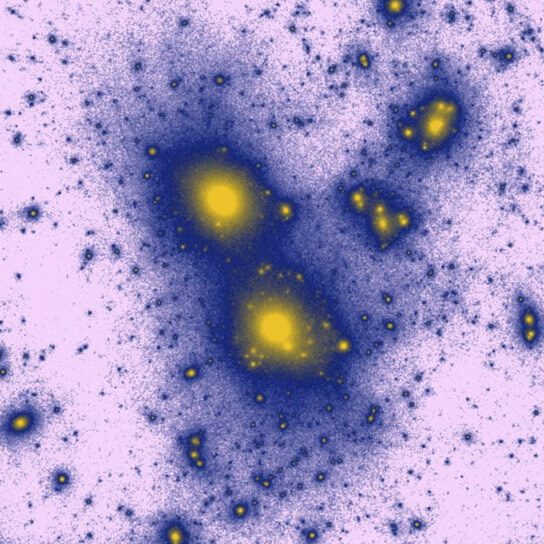 Published in the Physics Review Letters, this image represents the distribution of dark matter in the universe computed within the two component flavor-mixed dark matter paradigm. New breakthrough research on dark matter explores dark matter candidates as quantum flavor-mixed particles and demonstrates that the two-component dark matter model agrees with observational data at all scales. Lawrence — Astrophysicists believe that about 80 percent of the substance of our universe is made up of mysterious “dark matter” that can’t be perceived by human senses or scientific instruments. “Dark matter has not yet been detected in a lab. We infer about it from astronomical observations,” said Mikhail Medvedev, professor of physics and astronomy at the University of Kansas, who has just published breakthrough research on dark matter that merited the cover of Physical Review Letters, the world’s most prestigious journal of physics research. Medvedev’s theory rests on the behavior of elementary particles that have been observed or hypothesized. According to today’s prevalent Standard Model theory of particle physics, elementary particles — categorized as varieties of quarks, leptons and gauge bosons — are the building blocks of an atom. The properties, or “flavors,” of quarks and leptons are prone to change back and forth, because they can combine with each other in a phenomenon called flavor-mixing. Medvedev compared flavor-mixing to white light that contains several colors and can generate a rainbow. Medvedev said that dark matter candidates are also theorized to be flavor-mixed — such as neutralinos, axions and sterile neutrinos. “These are, in fact, the most preferred candidates people speak about all the time,” Medvedev said. Medvedev included the physics process of quantum evaporation in a “cosmological numerical code” and performed simulations using supercomputers. But the model has hasn’t always agreed with observational data, until Medvedev’s paper solved the theory’s long-standing and troublesome puzzles. 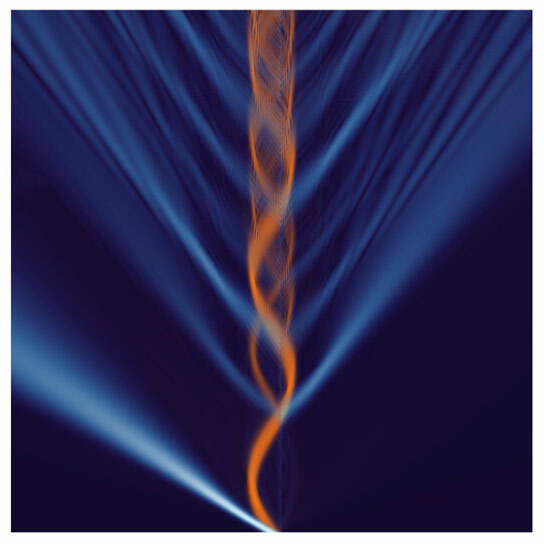 “Our results demonstrated that the flavor-mixed, two-component dark matter model resolved all the most pressing Lambda-CDM problems simultaneously,” said the KU researcher. Medvedev performed the simulations using XSEDE high-performance computation facilities, primarily Trestles at the San Diego Supercomputer Center and Ranger at the Texas Advanced Computing Center. Be the first to comment on "New Research Explores Cosmological Simulations of Multicomponent Cold Dark Matter"